My friend Jeff sent me a Craigslist link the other night. The ad was simply titled "Estate of Victor Mueller Live Auction"
Curious, I did an internet search for Victor Mueller. It turns out that Mr. Mueller, besides being a farmer (the "Pig farmer from Pickett"), was a very successful gemstone dealer. Like most guys do, it looks like Mr. Mueller used some of his money to buy "toys." Farming is tough, time consuming work. The gemstone business probably isn't easy, either. It looks like Mr. Mueller didn't have a lot of time to enjoy one of his toys; a 1974 Jaguar XKE. This car s said to have just 1062 miles on it. The auction house doesn't give us a lot of details. There is supposedly a hardtop and a luggage rack with the car. Neither are on the car and they are not pictured. We are not told if it runs or even if the engine turns. The seller does mention that the brakes and clutch are frozen. There are a lot of unanswered questions surrounding this car. 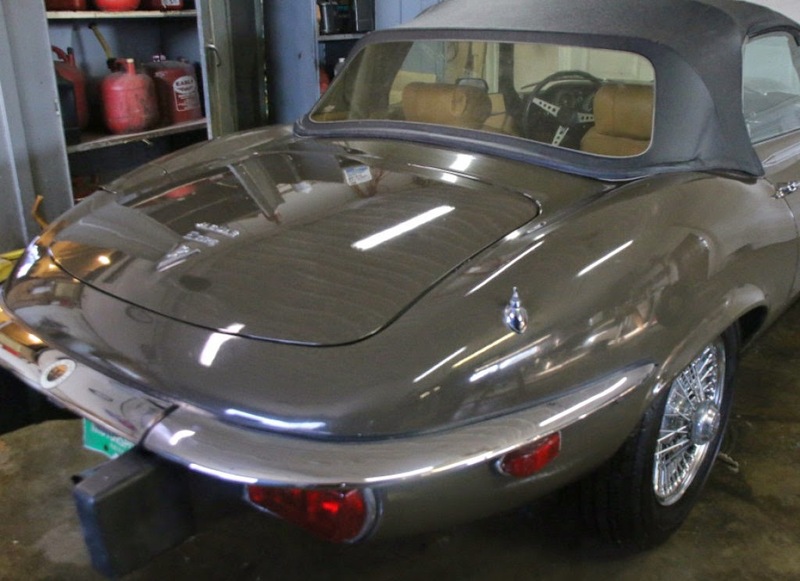 I suppose you could call the auction house for more details, but if they are not used to selling older, semi-exotic cars, I wonder how much help that would be. This could be an awesome find, but without seeing it first, I'm not sure I would bid too much on it. Located in Princeton, WI, click here to see the auction house listing. Along with the Jaguar, there is a diesel powered Hummer H1, a Ford F250 truck, a cool Lund Tyree 1750 Grand Sport boat, and all sorts of farming and excavating machinery being auctioned. You can find it all here. 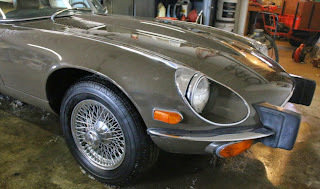 A Series 3, big rubber bumper, E-type with the nightmare V-12 (and all of the pre-requisite emissions garbage that was tacked on in 1974)? Or, *assuming the engine turns*, a low-mile manual V12 Jaguar for short money. Pull the emissions crap, pull the rubber boobies, and you'd have an experience for which people pay a lot more. Isn't a rusty body more costly than a broken V12 in the case of an E-type? I like the earlier cars much better, but I wouldn't kick this out of bed at something near the current price. 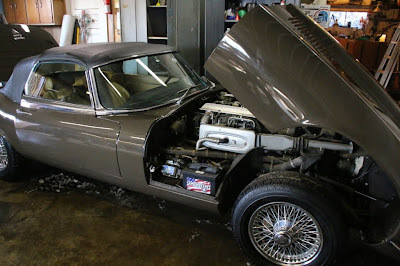 And sure, among E-types this one's not so pretty, but among all cars it's still a stunner.